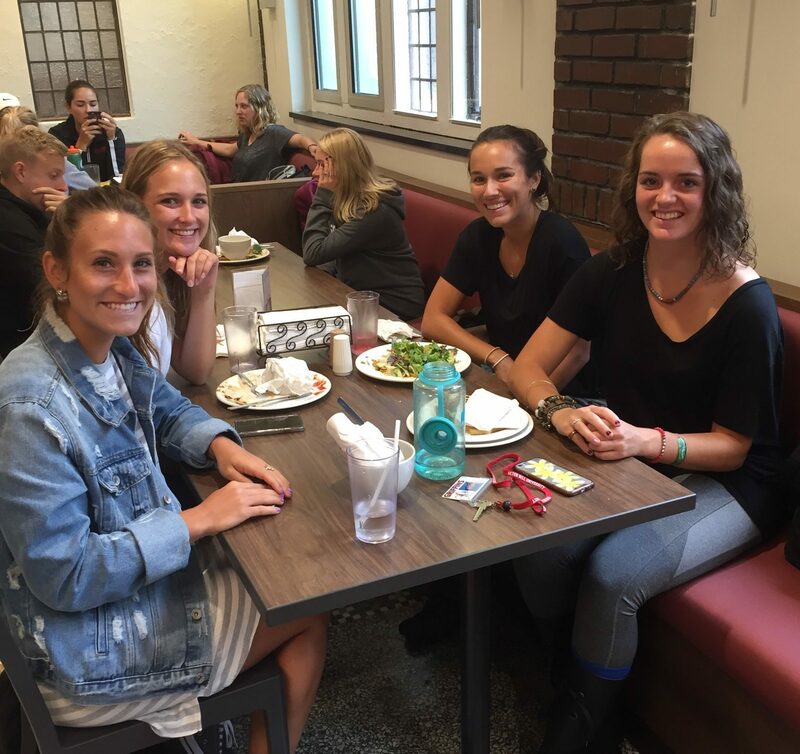 From left to right: Jenna Shumar (junior), Natalie Peleman (sophomore), Madison Debone (junior) and Rebecca Meyer (sophomore) gather for lunch in the newly renovated dining hall, equipped with new seating and food variety for students to choose from. Photo by C.Arida/Setonian. 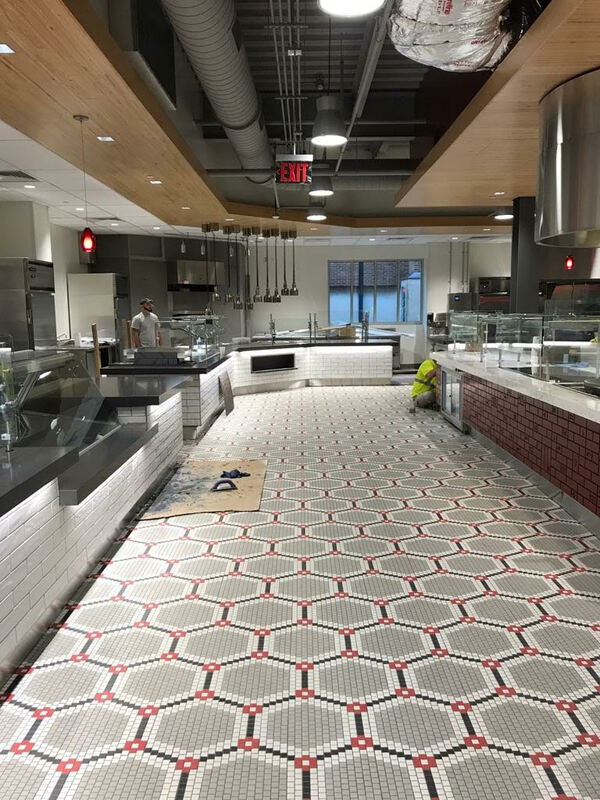 The renovated dining hall isn’t the only new change to campus this year, and it certainly won’t be the last. Whether they can be seen from the visible eye or not, changes are being made everywhere on campus. 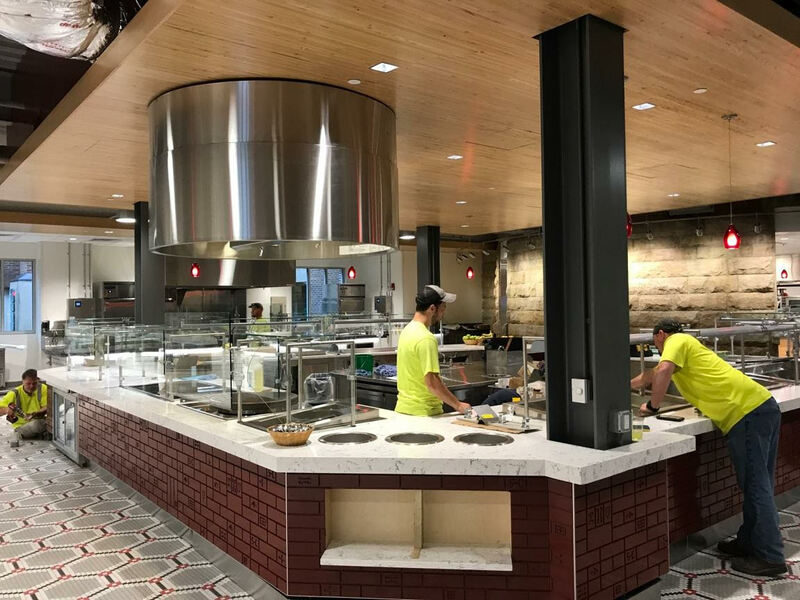 From the recently renovated dining hall, to the technology in the classrooms and the changes being made to departments, SHU is constantly growing and adapting as the student population continues to do the same. The dining hall is just one of these many changes. It was renovated for the start of fall semester to create a “healthier, more social environment for students to engage with,” said Yochum. Last year, the student lounge in Maura, previously the old clay studio, was built after students expressed the need for more study and hangout space. The addition to the Boyle Science Center and the Visual Arts building were also among some of the changes made to SHU over recent years to improve the learning environment. 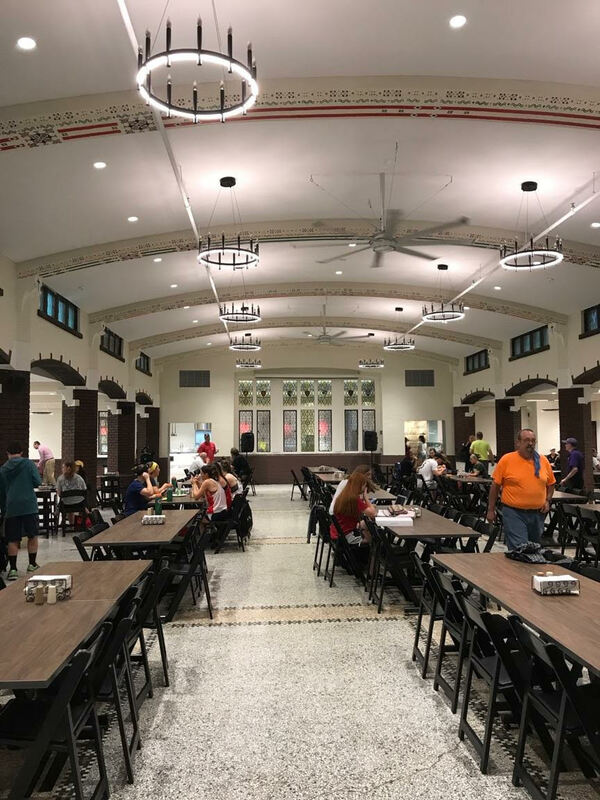 The Lowe Dining Hall renovations and expansion have been completed for the fall semester. Students can now enjoy their meals in the larger, air-conditioned space. Photo courtesy of Brendan Sante, Griffin Guide. Photo courtesy of Brendan Sante, Griffin Guide. “We continue to look at the spaces on campus to determine what the next step is, whether that be technological upgrades, renovations, additional spaces or new programs for students,” said Yochum. In addition to visible changes being made to campus, there are constantly “behind-the-scenes” changes that students aren’t always aware of. One of these changes includes the complete re-organization made to the academic departments this year. For the past 20 years, academic affairs at SHU were divided into six divisions, each with a division chair. “As we’ve grown and tripled in size since then, it was time for a new organization,” said Yochum. The process of analyzing academic affairs is a never-ending process for SHU. Last year, three new programs were introduced and the administration is constantly evaluating the need for more programs and other ways to improve academic affairs. From Reeves Learning Commons, to Career and Professional Development Center, to Health and Disability Services, all of these programs are growing and adapting to create an environment for students to learn at their best.